I got chosen to receive the UniVoxBox; what better way to start the year? This box is catered towards university students and I am glad I got the opportunity to receive these items. I went back to school at the beginning of this year and this is a great box that contains essentials for a student. – I have previously received these press-on manicures in other boxes. I like how they are easy to apply, just “press on,” but this shimmery light pink colour I received is not a shade I would normally wear. I’d recommend wearing these press-on manicures for special events as they last only a few days. – This is a very bright Barbie pink colour that I would not normally wear. Great for spring time though! – I love pens that write smooth. You know that feeling? As the pen just easily glides onto your paper; that’s how this pen writes and I quite like it. – I have read positive reviews on this products, but sadly this is not quite the perfect match for my skin tone. It has pink undertones whereas my skin is more on the yellow tone side. I will say that a little bit goes a long way and it does provide full coverage. – Not much needs to be said about these! Great for when you’re always on the go or when you’re running, dancing, exercising etc. Very easy to throw into your purse or gym bag. – This is a great way to turn your water into tea! I received the Black Currant Raspberry flavour, but would have loved to receive the Earl Grey as it is what I would normally drink. Also included was a $1 coupon off a Red Rose Real Tea Premium Water Enhancer. 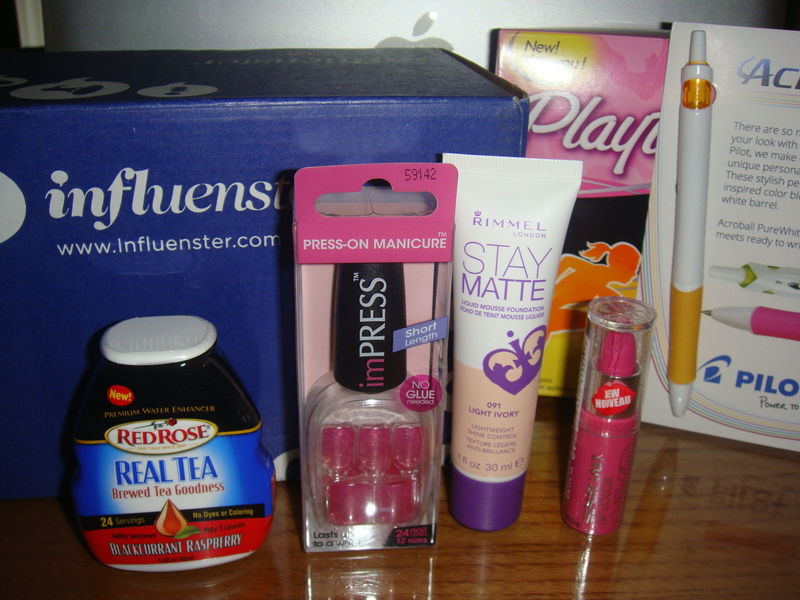 If you received a Uni Voxbox as well, what were your thoughts? Great review. Rimmel disappointed me greatly because we had to fill out this extra survey about our skin color and then we got ivory. I mean, if I want to look like a ghost then yes, I’d wear ivory. I love RedRose…totally going to buy more.